New York, NY – May 4, 2015 – AMS-IX (Amsterdam Internet Exchange), the world’s leading Internet Exchange, announces its participation at International Telecoms Week (ITW), the annual meeting point for the global wholesale telecommunications community. The AMS-IX global team will be on-site to discuss several market-leading achievements in the U.S., including the growth of its New York and Bay Area exchanges, the addition of a Point of Presence (PoP) in Chicago, IL, and the appointment of Phil Matte as Sales Director of its U.S. subsidiary, AMS-IX USA Inc.
AMS-IX New York and AMS-IX Bay Area are displaying strong customer and traffic growth. In the first quarter of 2015, AMS-IX Bay Area has grown over 75 percent compared to December 2014 to over 12 Gbps with the addition of new customers such as Hurricane Electric, Netflix and Sonic.net. During the same time period, AMS-IX New York has grown to over 8 Gbps by onboarding customers such as Hurricane Electric, Pavlov Media and Fastmetrics. More customers are also expected to go live soon. AMS-IX is the only neutral, OPEN-IX-compliant exchange located in three unique markets across the U.S., including AMS-IX New York, AMS-IX Bay Area and AMS-IX Chicago. Upon achieving OIX-1 certification for its Bay Area and New York platforms in 2014, AMS-IX plans to begin certification proceedings on its Chicago PoP mid-2015. In addition to two of its U.S.-based neutral Internet Exchanges receiving OPEN-IX certifications, the company’s Amsterdam, the Netherlands facility was recently recognized as the first international exchange to be OIX-1 certified. In addition to its existing Chicago PoPs in CoreSite’s CH1 data center and the CME Group Cermak Hosting Facility, AMS-IX USA Inc. will provide added peering opportunities to the Chicago Internet and technology community by launching a new PoP location inside DuPont Fabros Technology, Inc.’s Chicago 2 (CH2) data center. The new PoP is expected to be live in the third quarter of 2015. AMS-IX Chicago is currently OIX-1-compliant, the third of AMS-IX’s U.S.-based IX platforms to meet the Association’s certification criteria and adhere to Open-IX IXP Standards Committee-derived standards of neutrality, openness, service offering, infrastructure and operations, reducing the complexity that restricts interconnection in fragmented markets. In an effort to support its developing business in the U.S., AMS-IX appointed a new Sales Director, Phil Matte, as head of sales for its U.S. subsidiary, AMS-IX USA Inc., on April 21, 2015. In his role, Matte is responsible for driving the growth of AMS-IX USA Inc. by developing sales strategies and leading sales efforts for AMS-IX Bay Area, AMS-IX New York and AMS-IX Chicago. 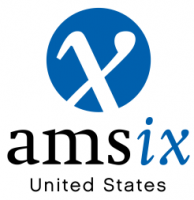 The AMS-IX USA Inc. deploys AMS-IX Bay Area, AMS-IX Chicago and AMS-IX New York in the United States. These platforms are modelled after AMS-IX in Amsterdam, the Netherlands, providing high-quality IP interconnection and peering services for all types of IP traffic, from regular IP data, Voice over IP, mobile Internet traffic to video. Peering allows these networks to offer their end users (consumers and companies) stable, fast and cost-efficient Internet services. AMS-IX USA Inc. is a subsidiary of AMS-IX in Amsterdam. Founded in 1997, AMS-IX is the world’s leading Internet Exchange interconnecting over 700 unique IP networks from around the globe and exchanging Internet traffic of close to 4 Terabit per seconds at peak moments. Additionally, AMS-IX hosts the first mobile peering points worldwide: the Global GPRS Roaming Exchange (GRX), the Mobile Data Exchange (MDX) and the first interconnection of IPX networks (Inter-IPX). iMiller Public Relations for AMS-IX USA Inc.
NextIs the Grass Greener at Green Globes?